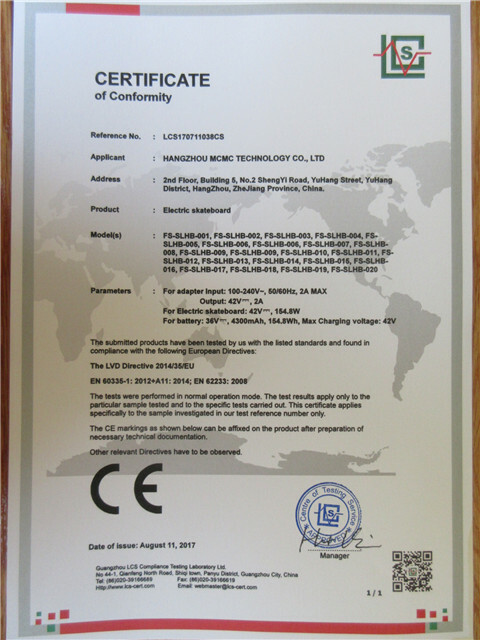 Company Overview - Hangzhou MCMC Technology Co., Ltd.
2YRSHangzhou MCMC Technology Co., Ltd.
HangZhou MCMC Technology is a high-tech enterprise which focus on intelligent transport products like electric skateboard, Intelligent treadmill, hoverboard, foldable electric scooter etc. MCMC has more than 10 years' experience of reseaching, developing , manufacturing and marketing. 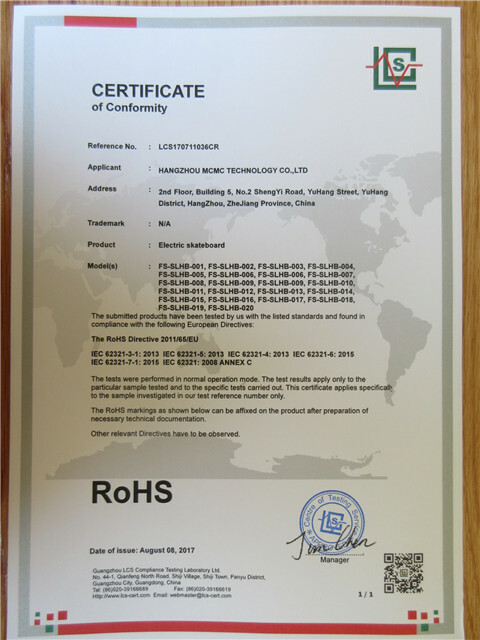 All of our products have the CE, ROHS, FCC, MSDS, UN38.3 Certificate.MCMC has a very professional technique team which has huge advantages for the controller and the core technology. Our goal is continue innovating and pioneering MCMC's products to be the most advanced and powerful in the market. OEM Is also welcome.MAMC locates in the most beautiful city HangZhou in China, which is very near to Alibaba . We warmly welcome customer's visit.